When you get Paestum, you suddenly be amazed by the very well-preserved city walls of almost 5 Km that still surround the urban core and would have originally been 7 mt high. Along the walls there are four main gates situated at the compass directions: Porta Sirena to the east; Porta Giustizia to the south; Porta Marina to the west and Porta Aurea to the north. Today it’s a UNESCO Heritage site. 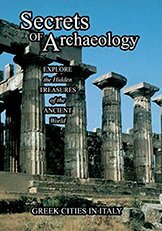 Once called Poseidonia, the city was founded in the VII century BC by Greeks colonists from Sybaris and it would has probably occupied by a human settlement when they got there. During Greek occupation the city achieved its greatest heights before to fall in Lucanians' hands (who changed the name with Paiston) and later under Rome control. 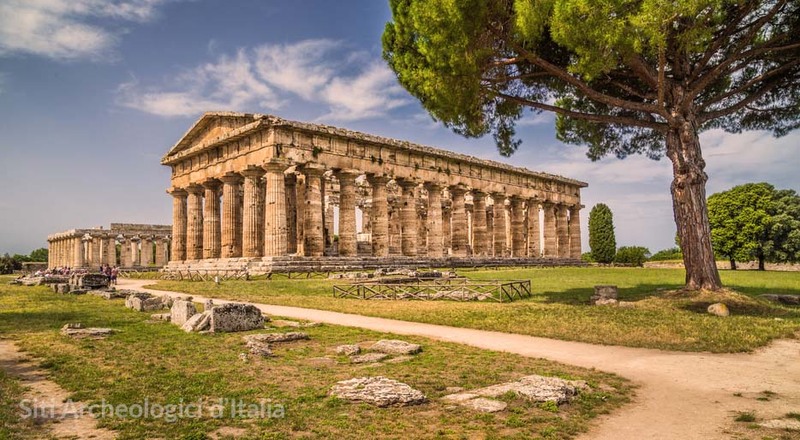 It turned the name in Paestum once and for all when it was taken by Rome in BC 273 and continued to prosper until the mouth of river Salso started to be buried by sand and the whole place turned into a swamp, according to Strabo. The more the swamp got bigger the closer the urban settlement pull back to Ceres temple until citizens left the place for good in the IX century AD. You can fill your lungs with almost 3000 years of history simply by walking through Via Sacra. It was brought back to the world in 1903. It's thirty feet wide and paved with big blocks of limestone. Public areas and sacred places can be found on both sides of the street as well as buildings of residential areas and the roman paved road matching the ancient Greek path. Forum area was rehabbed during the Roman period: it's rectangular and surrounded by many other buildings aimed to public life and religious custom. To the north side of Forum there's the so-called Italicum Temple which probably was the Capitolium of the city during Roman time. It's an esastylium temple placed on a high podium at the top of few wide stone steps, equipped with one altar only. Sacred area is certainly the place that amazes visitors the most: three temples in Greek Doric order stayed up til now as well-preserved as by some miracle. Two of them were devoted to Hera and one to Athena. Must be mentioned the sanctuary of Hera aimed to an ancient religious cult - which is told to be started by Argonauts - played outside the walls near the mouth of river Sele and the several necropolis outside the city walls. Archaeological area (the Temples) is open 7 days a week from 8:30 am to 7:30 pm (issue of last admission ticket at 6.50 pm). At the ticket office of “Porta Principale” there’s a cloakroom where it’s possible to store backpacks, bags and luggage. Archaeological area and Museum are closed on 1 January and 25 December. Single Ticket (Museum + Archaeological Area): € 9,00 full - € 4,50 reduced. People between 18 and 25 years old are entitled to a reduced price rate. Check out the complete list of reductions on the MiBACT web page. Stop at Paestum. Just outside the railway station you’re entering the ancient city. Passing by Porta Sirena, after almost 15 minutes you’ll get the Museum and the archaeological site. Take motorway A3 Salerno - Reggio Calabria. If you’re driving from the north get exit gate Battipaglia, if you’re driving from the south take gate Eboli. From International Airport of Naples (59 miles far away) take Alibus to the railway station. It's very easy to get the archaeological site of Paestum. There are information boards all along the itinerary and it's also possible to get audio-guides at the entrance. Museum is in the front of the archaeological park and it’s full of relics. That’s why we really suggest to take a tour and get focused especially on the amazing painted slabs taken from the tombs walls of necropolis around the city. Above all, the Tomb of the Diver. There are many souvenir shops near the site and cafes and restaurants where you can take a breakfast or a lunch. Free parking areas are all around. 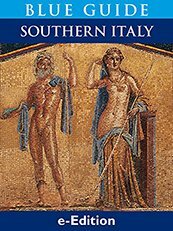 A free guided tour (only italian language) called " The Argonauts footpath: a walk from temples to sea " is taken on the first sunday of every month. Meeting at 10.30 a.m. at the Museum of Paestum. According to ancient legend, “Argonauts path” story says that Hera's Sanctuary was founded at the mouth of river Sele by heroes who attended the quest of Golden Fleece at Jason's side. Path is easy but it's one mile long so we really suggest to wear comfortable shoes. The event is taken on the first sunday of every month and no charges. To participate it's necessary to pick up the free-ticket at the Museum's box office before to meet at the main entrance.